OMRON has chosen to adopt the organizational structure of a "Company with Audit & Supervisory Board." The Board of Directors strives for sustainable enhancement of the OMRON Group's corporate value by exercising oversight over overall management through the election of directors, Audit & Supervisory Board members, and executive officers; the determination of compensation for directors and executive officers; and making important operational decisions. The Audit & Supervisory Board and the Audit & Supervisory Board members work to secure the integrity of the OMRON Group and achieve the sustainable enhancement of corporate value by conducting audits on legality and appropriateness of directors' duties, and the fulfillment of the Board of Directors' oversight obligations. In addition, each Audit & Supervisory Board member can exercise his/her authority on his/her own as a single-person organ in which the power over final decision-making is given to one person. This allows them to play a crucial role in strengthening internal controls. Furthermore, to enhance the oversight functions of the Board of Directors, four voluntary advisory committees are attached to the Board of Directors. The Personnel Advisory Committee, the CEO Selection Advisory Committee, and the Compensation Advisory Committee are chaired by an independent outside director, and a majority of each committee's members shall be composed of independent outside directors. The CEO Selection Advisory Committee is dedicated to the deliberation and nomination of candidates for CEO, which is the top-priority matter in management oversight. In addition, the Corporate Governance Committee, established for the purpose of enhancing corporate governance, is also chaired by an independent outside director, and exclusively comprises independent outside directors and independent outside Audit & Supervisory Board members. 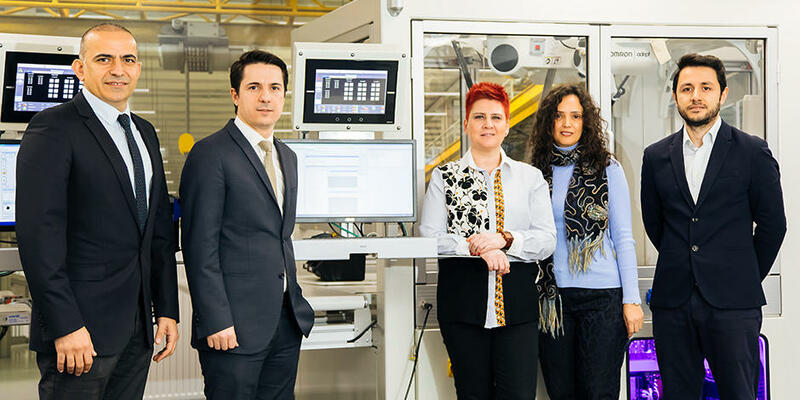 Through these unique initiatives, OMRON has established and adopted a system that enhances the transparency and objectivity of management's decision-making process. By incorporating the best aspects of the corporate governance system of a "Company with Committees (Nomination, etc. )," OMRON has created the kind of hybrid corporate governance structure that we feel is most appropriate for OMRON as a "Company with Audit & Supervisory Board." 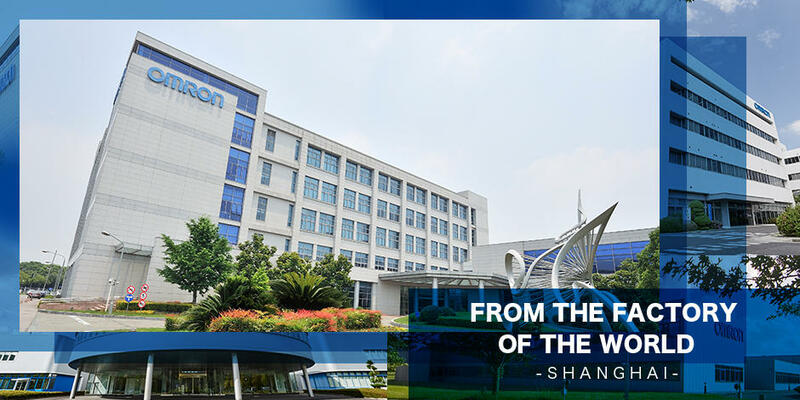 The Board recognizes its fiduciary responsibility to shareholders and assumes the responsibility of sustainably improving the OMRON Group's corporate value through appropriate exercise of its authority. To fulfill the above responsibilities, the Board exercises oversight functions over the overall management in order to ensure fairness and transparency of management practices. The Board does so through election of directors, Audit & Supervisory Board members, and executive officers. It also determines compensation for directors and executive officers, and makes important operational decisions. The Board is also responsible for establishing a system to respond to cases when Audit & Supervisory Board members or external auditors have discovered fraud within the OMRON Group and demanded appropriate remedies or pointed out deficiencies or problems. To effectively fulfill its duties and responsibilities, the Board of Directors is composed of members with experience, specialized knowledge, and deep insight in a well-balanced manner. Management oversight and business execution are kept separate and a majority of the Board shall consist of directors who are not involved with business execution. At least one-third of the Board shall consist of independent outside directors. 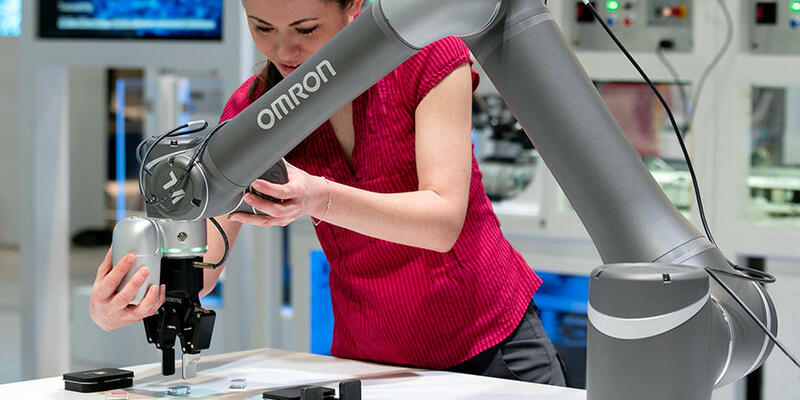 The Audit & Supervisory Board bears in mind its fiduciary responsibility to shareholders and works to secure the integrity of the OMRON Group toward sustainable enhancement of corporate value, and acts for the common interests of the	shareholders. To fulfill the above-mentioned responsibility, the Audit & Supervisory Board strives to develop a system to ensure effectiveness of audits conducted by each of its members. The Audit & Supervisory Board works in collaboration with independent outside directors and the internal auditing department. The Audit & Supervisory Board also exchanges views with independent outside directors and provides them with information acquired through auditing. To effectively fulfill its duties and responsibilities, the Audit & Supervisory Board is composed of members with experience, specialized knowledge, and deep insight in a well-balanced manner. The Personnel Advisory Committee has been set up for the purpose of bolstering the management oversight function of the Board of Directors by enhancing the transparency, objectivity, and timeliness of the decision-making process regarding nomination of candidates for directors, Audit & Supervisory Board members, and executive officers. The Personnel Advisory Committee deliberates and sets criteria and policies for the selection of directors, Audit & Supervisory Board members, and executive officers. The committee also selects candidates for these executives and evaluates the performance of current directors and executive officers. The Personnel Advisory Committee is chaired by an independent outside director, and a majority of committee members shall consist of independent outside directors. The committee comprises directors excluding Chairman and CEO. The CEO Selection Advisory Committee has been established for the purpose of bolstering the management oversight function of the Board of Directors by enhancing the transparency, objectivity, and timeliness of the decision-making process regarding nomination of candidates for CEO. Dedicated to CEO selection and succession planning, the CEO Selection Advisory Committee deliberates and nominates candidates for CEO, and deliberates on succession candidates in the event of an emergency. The CEO Selection Committee is chaired by an independent outside director, and a majority of committee members shall consist of independent outside directors. The committee comprises Directors who are not engaged in business execution. The Compensation Advisory Committee has been established for the purpose of bolstering the management oversight function of the Board of Directors by enhancing transparency and objectivity in determining compensation amounts for each director and executive officer. The Compensation Advisory Committee sets policies regarding compensation for directors and executive officers, and deliberates on compensation levels and their assessment, as well as specific compensation packages. The Corporate Governance Committee has been established for the purpose of enhancing the transparency and fairness of management practices from the standpoint of all stakeholders and to continuously take steps to enhance corporate governance. The Corporate Governance Committee discusses policies to continuously enhance corporate governance and to increase management transparency and fairness. The Corporate Governance Committee is chaired by an independent outside director, and its members comprise independent outside directors and independent outside Audit & Supervisory Board members. The Company works to improve the Board's effectiveness to realize the sustained enhancement of corporate value. Such initiatives are undertaken in a cycle of (1) evaluation of the Board's effectiveness and (2) determination and implementation of the policy for the operation of the Board of Directors based on (1). Evaluation of the Board's effectiveness is conducted by the Corporate Governance Committee chaired by a Director (Independent) and comprising Directors (Independent) and Audit & Supervisory Board Members (Independent). 1) Directors and Audit & Supervisory Board Members conduct self-evaluation by completing an anonymous self-evaluation questionnaire. 2) Individual interviews to Directors and Audit & Supervisory Board Members are also conducted by Chairman of the Board of Directors Meeting, who asks about improving the effectiveness of the Board. 3) The Corporate Governance Committee analyzes the results of the self-evaluations in 1) and the interviews by the Chairman of the Board of Directors in 2) and conducts evaluation of the Board's effectiveness. Based on the evaluation results by the Corporate Governance Committee in (1), the Board of Directors formulates and determines the policy for the operation of the Board of Directors for the next fiscal year and operates the Board of Directors based on the policy. The Company continues to improve the Board's effectiveness by implementing the above (1) and (2) on a yearly basis. The Committee determined the policy for the operation of the Board of Directors for fiscal 2017 based on the results of evaluation of the Board's effectiveness for fiscal 2016, as described below. The Board of Directors shall demonstrate its oversight function to ensure the achievement of the medium-term management plan "VG2.0," which began in fiscal 2017, with emphasis on the following three areas. The Corporate Governance Committee confirmed that the Board of Directors conducted the operation of the Board of Directors based on the policy for the operation of the Board of Directors for fiscal 2017 and demonstrated its oversight function. The Board of Directors discussed and approved the medium-term management plan "VG2.0" and the Company-wide management plan for fiscal 2017. In addition, the Board of Directors received a sufficient report from executive organization regarding strategies of individual divisions based on the medium-term management plan "VG2.0" and the status of initiatives of the management plan for fiscal 2017. The Board of Directors demonstrated its oversight function on the status of progress of the management plan for fiscal 2017 to ensure the achievement of the medium-term management plan "VG2.0." To ensure the achievement of the medium-term management plan "VG2.0," the Board of Directors discussed human resources strategies, which are the core of "VG2.0," and demonstrated its oversight function. The Board recognized that the human resources strategies were important to achieve the medium- to long-term management plan and that the Board needed to continuously demonstrate its oversight function. The Board of Directors confirmed the Company-wide core technology system developed on the basis of the Company's future predictive theory, "SINIC theory" in addition to prediction of rapid technological innovation such as AI, IoT and robotics. To ensure the achievement of the medium-term management plan "VG2.0," the Board of Directors discussed technical strategies, which are the core of "VG2.0," and demonstrated its oversight function. The Board recognized that the technical strategies were important to achieve the medium-to-long-term management plan and that the Board needed to continuously demonstrate its oversight function. The Board of Directors recognized that, to achieve the medium-term management strategies, the Board also needed to demonstrate its oversight function on strategies regarding information systems and quality. To ensure the achievement of the medium-term management plan "VG2.0," the Board of Directors received reports on fiscal 2020 targets and KPI for material sustainability issues in June 2017 and the Company-wide management structure to promote the sustainability and the progress of the materiality in February 2018, respectively. The Board discussed the initiatives to address materiality which have been set based on the sustainability policy and demonstrated its oversight function. The initiatives on the sustainability have commenced since fiscal 2017, and the Board recognized that it needed to continuously demonstrate its oversight function. Based on the evaluation results of the effectiveness for fiscal 2017 by the Corporate Governance Committee and future issues, the Board of Directors shall demonstrate its oversight function to ensure the achievement of the medium-term management plan "VG2.0," with emphasis on the following three areas. The Company will make efforts in enhancing the Board's effectiveness for sustained improvement in corporate value. 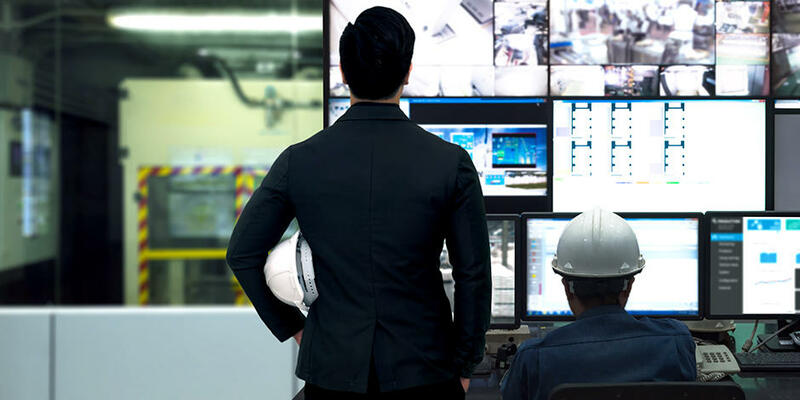 OMRON offers training and information necessary for directors and Audit & Supervisory Board members to fulfill their roles and responsibilities, as required. Specifically, when directors and Audit & Supervisory Board members newly assume office, they will be offered lectures by experts and training regarding laws and corporate governance. Training regarding amendments to law and management issues will continuously be offered after they assume office. In addition to the above, when independent outside directors and independent outside Audit & Supervisory Board members newly assume office, an explanatory session about the OMRON Group's business and a tour to observe OMRON Group's main business sites are organized. Furthermore, the Board of Directors annually makes opportunities available for explanation of each business's strategy. For outside directors: Participation in factory tours in and out of Japan, exhibitions (System Control Fair, etc. ), company events (TOGA Global conference), etc. Over the past 20 years OMRON has strived to enhance its corporate governance system. As part of this drive, OMRON set up the Management Personnel Advisory Committee (now the Personnel Advisory Committee) in 1996. To achieve sustainable enhancement of corporate value, the Company will continue improving its corporate governance.